Girls' Brigade Australia has always been committed to seeing the lives of everyday girls transformed. Over the past 125 years, we have helped girls and leaders to seek, serve and follow Christ. This blog is just a small glimpse of the connections we hope to have with our leaders nationwide. 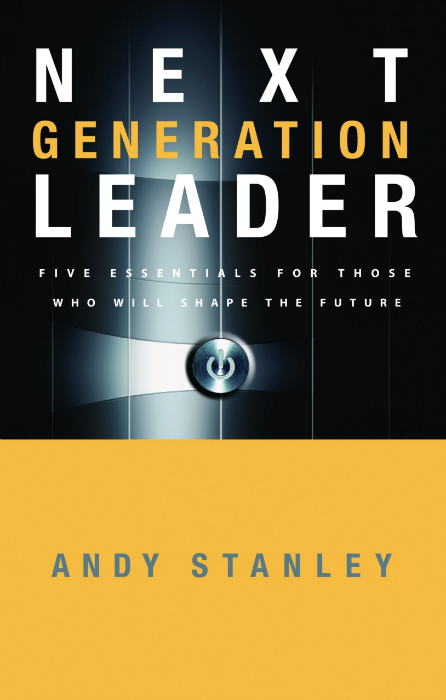 Every attendee at the GBA National Conference 2018 received a book and I was fortunate enough to be able to take home Next Generation Leader by Andy Stanley. I have found this book to be filled with great wisdom and thought I would share some of its message. I would highly recommend this book to anyone who is a leader of people, whether that be in Girls’ Brigade, another ministry, or their work or family life. One of the first ideas the reader is introduced to is, “in leadership, success is succession. If someone coming along behind is not able to take what I have offered and build on it, then I have failed in my responsibility to the next generation”. In every role I take on, whether in Girls’ Brigade, in business or anywhere else, I always aim to make the job easier for the next person. It has always been something I have strived for but I have never put the concept in words before. I think Stanley’s summary is quite perfect for our organisation. In the “Competence” section the reader is encouraged to identify their strengths and weaknesses and delegate anything that falls outside their strengths. Stanley wisely writes, “In time, a leader who is not leading from the right “zone” will create an unfavourable environment for other leaders”. A leader who is working in their areas of weakness creates a team that appears weak to outsiders, a team that appears less attractive to someone thinking about joining. Leaders should seek out people to join their team who can fill roles that fall outside their own strengths. The goal is for everyone to be working to their strengths. Have you identified your strengths and weaknesses? What about the strengths of others in your team? Stanley’s section on “Courage” stood out to me more than any other. His comments about change resonated so clearly with me. He writes, “Leaders love progress. Progress is what keeps them coming back to the task. Nothing is more discouraging to a leader than the prospect of being stranded in an environment where progress is impossible. If we can’t move things forward, then it’s time to move on”. Recently I have been facing my own dilemma about whether to continue my service in Girls’ Brigade or whether I should move on. This exact scenario was playing through my mind throughout. I was ready to leave Girls’ Brigade at the end of my current term of office as I was feeling overwhelmingly stranded in a situation over which I have no influence. I have since found an opportunity to work on a project that I believe will create great GB Companies and I am now intending to stay involved. Are there people in your team who are feeling stranded and you may soon lose? Stanley goes on to write, “While the average man or woman fears stepping out into a new opportunity, the leader fears missing out on a new opportunity”. This too is me! I need to have a go at something in case it works rather than avoid something in case it goes wrong. Have people in your team identified opportunities but haven’t got a voice to share them and work on them? We want to create an environment where leaders thrive rather than go and serve somewhere else where it’s easier to be heard and make a difference. When was the last time you made a courageous decision? Do your emerging leaders see your make courageous decisions or are you always seen to do the same old thing and you never implement change? In the “Clarity” section the reader learns that having a clear vision and providing clear instructions is critical to being a credible leader. Stanley goes further to say that when you are uncertain about the approach to take in achieving your vision you should share your uncertainty with your team. “Pencil in your plans. Write your vision in ink”. Don’t pretend to know the answers when you don’t. Be confident in your uncertainty, confidently reiterate your vision when you share your uncertainty about your plans. By sharing in this way, you will build confidence in your team, create a culture that values honesty and lead a team open to sharing their own uncertainty. Stanley concludes this section with the following ideas: “Get a coach and you will never stop improving. Become a coach and ensure the improvement of those around you. He offers some starting points for coaches: Begin by passing along pertinent articles, books, tapes, comment in detail about the things they are doing right. Brag about ‘em. Talk about their potential. And once you have won their trust, evaluate and inform. Use the phrase, “One thing I learned a long time ago is….” In other words, position yourself as a fellow learner, not a teacher”. The book concludes with a section on “Character”. The reader is told that, “those who choose to follow you want you to be a leader worth following. They will judge you not so much for where you lead them but how you led them…Moral authority is the credibility you earn by walking your talk…It is achieved when there is perceived alignment between conviction, action, belief, and behaviour. Alignment between belief and behaviour makes a leader persuasive”. Stanley challenges the reader to answer the following questions, “What do you want to be remembered for? Have you determined what you want to become?” In my business life the answers were easy: I want to be respected and remembered as a valuable contributor to my industry. My next task is to determine what I want to become in my Girls’ Brigade life and to consider what my next contribution should be. I hope you have found this summary of Next Generation Leader to be useful. I have passed on my copy so that others can learn from it too, get your hands on a copy and you will not be disappointed. Please let me know if you have any other book recommendations for our leaders.